In the course of the upcoming major military projects in Bulgaria, related to the modernization of our army in the Naval-Air-Land directions, in the background seemed to be facts of the Bulgarian military industry that deserve their attention. This is the case with one of the most innovative military developments in the field of optical production – SWIR technology. – Unintentionally or not but, then, our “laboratory mice” had been Bulgarian politicians and diplomats, part of the Bulgarian delegation at the exhibition. We had put sunglasses on one of our guests and we had directed SWIRECON 50 lens against him. What had appeared on the computer, as a video signal and what we had saw, were the eyes of the man with the sunglasses. What is the application of SWIR technology? Our research shows that SWIR technology products can be used in dozens of our daily life activities – for check of products (is the apple bad inside, is the dark bottle full or empty), on production line in the food industry, in agriculture (inspection of crop quality), in mining (detecting new mines), astronomy, etc. 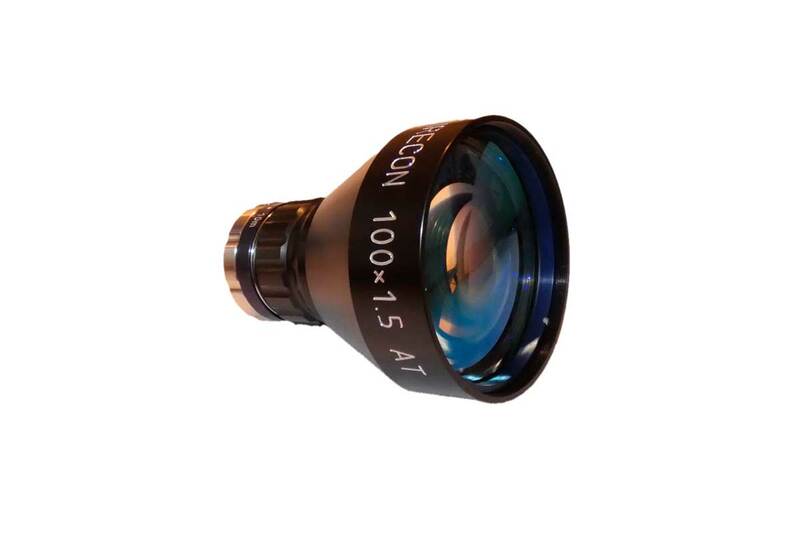 – Compared to night scopes, SWIRECON sees up to 1.7 microns (nighttime to 0.9 microns). That’s why night scopes cannot see eye-safe lasers operating at 1.54 microns or at 1,064 microns, while SWIR can. The picture that we can see during a night surveillance by a SWIR camera is clearer and more detailed. – Compared to thermal imaging scopes, SWIR cameras see more clearly and better through fog and sea haze, while thermal vision cameras – no. Shortwave infrared devices see clearly through a simple window or through a car window, while the thermal cameras – not. Who produces SWIR lenses in Bulgaria? Opticoelectron is the first and the only company in Bulgaria to develop and sell SWIR lenses on international markets. Actually, a little – known fact is that it is one of the first companies in the world that years ago had managed to develop and demonstrate the first working prototype of a SWIR camera. The newest model from the same range is SWIRECON 12.5, which has a very open f-number – 1.2. It is expected, during the upcoming months, the company to launch more new models to be able to meet the demand in international markets.